Timelimit: 30 minutes. 2 Marks for correct answer; -0.66 marks for wrong answer. Mitron, my [T25] series contains 25 Mock MCQ primarily aimed at UPSC IAS/IPS Civil Service exam aspirants. I usually don’t give direct answer below the MCQs but indirect hints. Because, then you’ve to read the MCQ again & apply logical reasoning skills. This will improve your mental faculties compared to a scenario where direct answers are spoon-fed. having said that, if you want to learn some background theory and the correct answer, you may visit my playlist at Unacademy. This 28th set focuses mainly on Economy MCQs that were asked in the UPSC CDS-ii Exam 2018, which was conducted in November 2018. So far I’ve done 28 sets x 25 questions each = 700 MCQs. Let’s see if I can cross 1000 before UPSC Prelims-2019. HINT: 14th FC YV Reddy: the horizontal formula for tax distribution is- Population Census 1971 (17%), Demo.Change Census 2011 (10%), Income-Distance (50%), Area (15%), Forest-Cover (8%). You can learn more about the background theory of Finance Commissions, in my lecture here. HINT: During the Rajaswa Gyan Sangam held on 1st and 2nd September, 2017, the Prime Minister Shri Narendra Modi had observed that the Income-tax Act, 1961 (the Act) was drafted more than 50 years ago and it needs to be re-drafted. So, Finance Ministry setup a task force with Arbind Modi as convener, he’s a member of the CBDT. Q4. In 2018-Nov, NAA imposed penalty on McDonald’s franchisee. Find correct statement(s) about the NAA? “NAA” stands for National Authority on Anti-profiteering. Chairman of the Central Board of Excise & Customs (CBEC) is the ex-officio chairman of NAA. Penalty levied by NAA is transferred to GST compensation fund for states. HINT: National Anti-profiteering Authority (NAA) is setup to take action against businessmen who’re not passing on goods and services tax (GST) rate cut benefits to customers. It can impose penalty, which goes to Consumer welfare Fund as per the Central GST Act. GST compensation fund is separate thing- which is filled by imposing special compensation cess on coal, demerit and luxury goods such as tobacco, cigar, pan masala, Aerated drinks and motor vehicles. HINT: Another question lifted from RBI’s State Finances Report published in 2018-July. Fiscal deficit of all states combined was 3.1% in 2017. And in previous 2 years also it was above 3%. So yes, first statement is right. Special Category states had 3.0% FD in 2016, and 6.6% in 2017. Non-special category states: FD 2.9% in 2017. So that means Sp.Cat states’s higher FD responsible for crossing the 3% limit overall. HINT: The 2018-Feb’s budget speech itself doesn’t mention which states exactly. But later it was revealed that Tamilnadu and Uttar Pradesh will get these corridors. HINT: While the Draft defence production policy aims to raise FDI cap to 74% but as per the extant (i.e. present) FDI policy, permits only upto 49% FDI in defense sector through automatic route. HINT: 2018-Aug, Dept of Industry and policy promotion launched this logo for GI products, to make them more attractive. GI indicator examples- Basmati rice, Banarasi Sari, Kashmir’s Pashmina shawls W.Bengal’s Darjeeling Tea etc. Venue was in Papua New Guinea. Summit concluded without any joint statement from the leaders. India did not participate in this summit. HINT: It was held in Papa’s capital Port Moresby. Ended without any joint statement just like WTO’s Buenos Aires summit 2017. 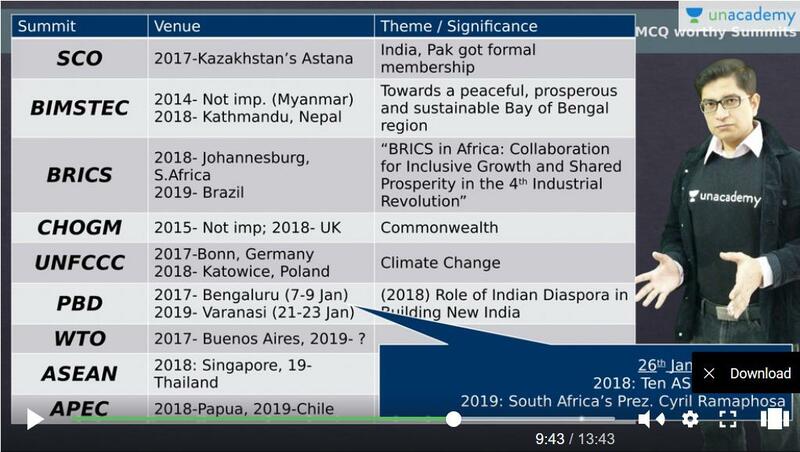 India not an APEC member, so how can it attend!? WTO 2017- Buenos Aires, 2019- ? HINT: Debatable question depending on how you interpret “immediately after independence”. Because according to NCERT Economy Class11, the HVY seeds started from mid 1960s. I don’t see 1965 as ‘immediately after independence’. HINT: Let’s rephrase second statement: “Agriculture growth rate continues to be volatile.” Now let’s check from Economic Survey 2018 Vol2, Ch7: Growth rate in GVA of Agriculture & Allied Sectors: 1.5% in 2012, 5.6% in 2013, -0.2% in 2014, 0.7% in 2015, 4.9% in 2016, 2.1% in 2017. So, yes the volatility is there, and it has not declined. Second statement is right. But does it explain the first correct statement? HINT: Who prepares in this much detail. I’ve already mentioned the hike in the options itself. Madhya Pradesh is prominent in Soya bean cultivation and election is approaching so if you guessed that Government must have given very large hike in Soya MSP for farmers vote bank… well you’re mistaken. Getting construction permits: rank improved from 181 to 52. HINT: First statement is lifted verbatim Economic survey 2017-2018 vol1, page 122. Between 2004 to 2016, Public investment in RD has been ~0.4% of GDP whereas private investment has been ~0.2%. so, first statement is right. Second statement also lifted from same page. However, does it explain the first statement? Will private investment increase if universities played active role!!?? HINT: Lifted verbatim Economic survey 2017-2018 vol1, page 44’s table. In the given timeframe (2007 to 2015), Total savings rate declined by -7.7%, household saving by -5.2% and public savings by -4.0%. So think, whether 2 explains 1? 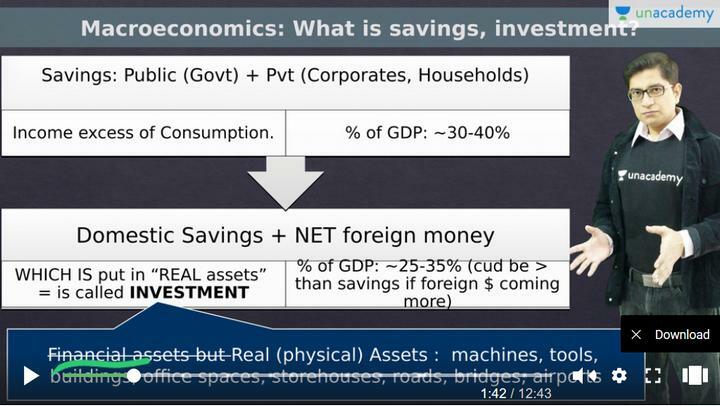 What is the meaning of Savings Rate, Investment Rate and Capital Formation- you can learn it in my video lecture here. HINT: “New Delhi has metro so it ought to be the Metro Railway Zone” such guessmasters should buy Iodex for their broken backs because IYB Ch.26 on Transport gives a list of 17 Railway zonal HQs. Kolkata is Zonal Railway HQ for Eastern, South Eastern and Metro. HINT: IYB ch.5 says Under PRASAD scheme, 25 sites of religious significance have been identified for development namely Amaravati (Andhra Pradesh), Amritsar (Punjab), Ajmer (Rajasthan), Ayodhya (Uttar Pradesh), Badrinath (Uttarakhand), Dwarka (Gujarat), Deoghar (Jharkhand), Belur (West Bengal), Gaya (Bihar) , Guruvayoor (Kerala), Hazratbal (Jammu & Kashmir), Kamakhya (Assam), Kanchipuram (Tamil Nadu), Katra (Jammu & Kashmir), Kedarnath (Uttarakhand), Mathura (Uttar Pradesh), Patna (Bihar), Puri (Odisha), Srisailam (Andhra Pradesh), Somnath (Gujarat), Tirupati (Andhra Pradesh), Trimbakeshwar (Maharashtra), Ujjain (Madhya Pradesh), Varanasi (Uttar Pradesh) and Vellankani (Tamil Nadu). So, eliminate accordingly. 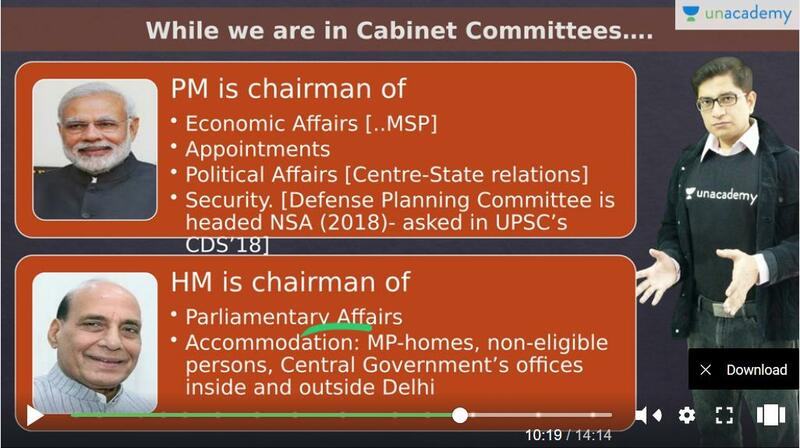 In UPSC’s-CDS-ii-2018, UPSC mostly focused on “data interpretation’ related MCQs from economy. This is continuation of the trend observed in CSE-2018 Prelim as well. 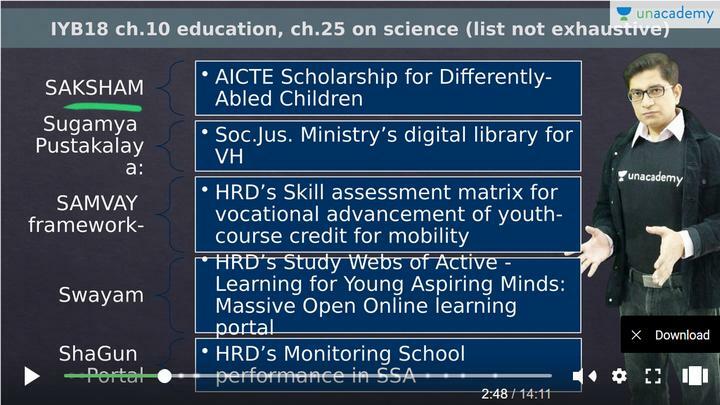 HINT: In 2014, HRD Ministry launched Study Webs of Active-Learning for Young Aspiring Minds (SWAYAM). So, think which term fits? Here is a list of similar noted Government schemes for higher education in my lecture. If you try guessing here that Mizoram is a North East state so it could be lowest in urbanization and then you could jump to answer 4 then you’re in for serious shock. Let’s find the official state-wise urban population data from Census-2011. IYB has not given it. While NCERT India-People and Economy has appendix containing urban population table, but it’s outdated data of Census-2001, even in the latest edition. Time to look into Majid Hussain’s Geography of India page 14.31. Number of people living in per square km area is called Population Density. Arunanchal Pradesh has lowest population density. This is given in NCERT Geography and all GK books. So, correct answer could be 1, 2 or 4. And within them, Himachal could have more density than North Eastern States- if we go by that logic then Answer could be 1 or 2. It’s unlikely that you know the exact population density of Sikkim Vs Mizoram so, you could do guess-mastergiri and pick either one from 50:50 coin toss or just skip this question. You could further guess that Sikkim is the ‘first organic farming state of India’, so they could have more thriving economy compared to Mizoram, and hence attracting more migrants, then it’d have more population density than Mizoram. Anyways, Let’s crosscheck the exact numbers from IYB-2017 Table 1.4 in chapter1, because in IYB2018 they’ve removed such census tables (atleast in the Kindle Edition). HINT: Economic Survey 2016-17 had mentioned that Total Fertility Rate is declining in the coastal states, hence they’ll have to rely on migrants from interior states in the future decades when their own population starts to grow old. But, here all four are costal states so it doesn’t help making any logical eliminations. At most you could go by gut feeling that Kerala and Goa are not ‘migrant-attracting big states’ so, unlikely they could have absorbed new families who produced more kids. So, answer could be Andhra Pradesh or Tamilnadu. So, we’ve to find the exact numbers from IYB-2017 Table 1.1 in chapter1, because in IYB2018 they’ve removed such Census tables (atleast in the Kindle Edition). PS: you don’t have to buy IYB17, just go here on this link and click on book cover’s“look inside”, ch1 is given in the free preview! HINT: You can make logical guesses about the composition by looking at the socio-political undercurrents. For example, W.Bengal parties is more keen to please the Muslims so they could have a sizable percentage. Uttar Pradesh is stronghold of BSP but in Punjab, the ‘Dera culture’ is more prominent because of sizable schedule castes. 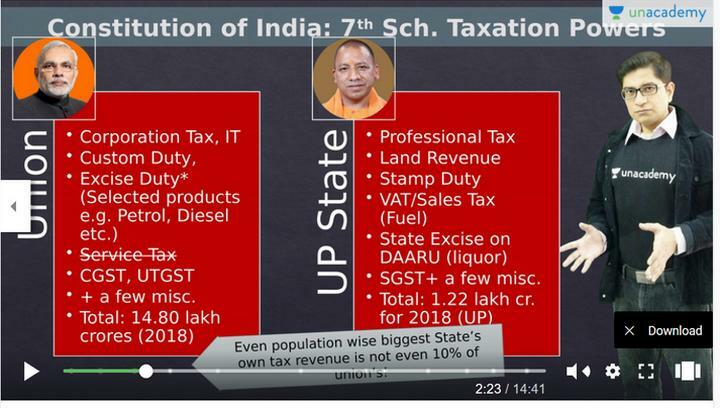 So, it has to be either UP or Punjab, but since UP has very large total population than Punjab toh UP mein SC % down ho jaayegaa. Therefore, Punjab should be the answer. Let’s find the exact numbers from IYB-2017 Table 1.13 in chapter1, because in IYB2018 they’ve removed such census tables (atleast in the Kindle Edition). IYB is useful. But excessive affection avoid. 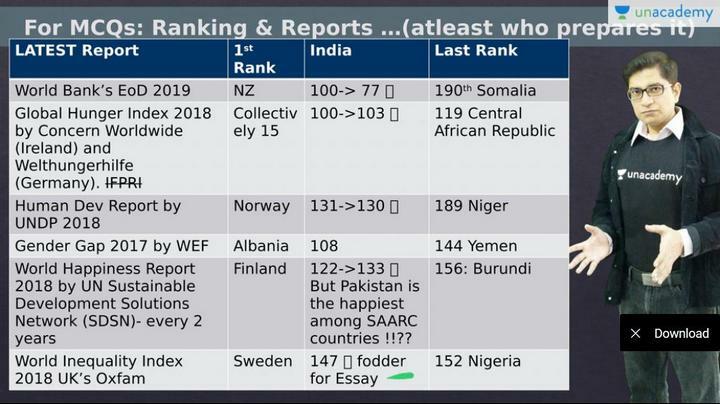 CDS-2018: Few questions could be solved from IYB17 but not given IYB18= “old NCERT type affection” avoid. Data driven ascending / descending MCQs either 50:50 or skip, not “mugup everything under the Sun”. Don’t spend 90% of time on 10% of unsolvable MCQs. Topper’s Tickmaster strategy: limited charms only for those ‘large reading” and “large practice”. We’ll practice more, in upcoming videos, for other subjects of GS. sir, please write a similar article on biology and polity questions from cds 2 2108 exam. Great sir..it may surely go a long way for all of us . We might not have realised the importance of this link, until yesterday. Whatever may be the reasons to embrace the dark side. Still We can make changes. I will personally appeal to around 6 lakhs of subscribers & many more viewers to this portal and website., our token of donation, (though may be just Rs.100/-, 200/-) can make huge changes. Follow the above link, I am confident it will surely encourage mrunal sir to continue his free teaching work and may be we will get some new series too. We all aware of the priceless efforts of Mrunal sir for many years through his website & You tube channel, which have benefited millions of students and aspirants. We also understand the fact that, If we are getting anything in free of cost, we won’t value it. Your article really help a student like us. Sir, Gpsc mains mate article series banavo. Congratulations, you are doing excellent work in giving excellent updates for UPSC exam preparation.